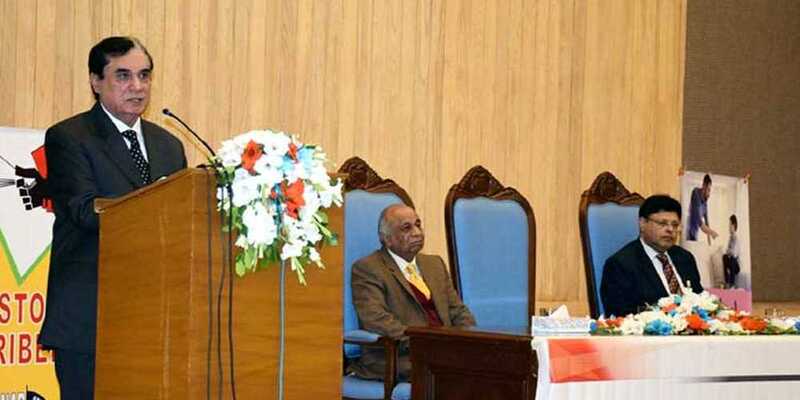 National Accountability Bureau Chairman Justice (retd) Javed Iqbal said on Tuesday that the accountability watchdog is fulfilling its responsibilities effectively. Addressing a ceremony at NAB headquarters in the capital, the NAB chairman said that the plea bargain is unjustly criticized. “No recoveries of stolen money would have been made without plea bargain”, he asserted. He said that dishonesty is the country’s biggest issue, adding that eradicating corruption should be the NAB’s top priority. Justice Iqbal said that the NAB took out all the corruption cases which were hidden, only to lead them to their conclusion in the light of law and as per merit. The NAB chairman said that a smear campaign is being run against the anti-corruption.